Kuala Lumpur (VNA) – The Foreign Ministry of Malaysia has called on Israel to respect international law and relevant resolutions of the United Nations in order to maintain peace, security and stability in the region. In its statement issued late on March 27, the ministry said Malaysia was gravely concerned over the escalation of violence in Gaza due to the disproportionate use of force by Israel. “Over the past few days, both sides had been engaged in rounds of rocket launches. 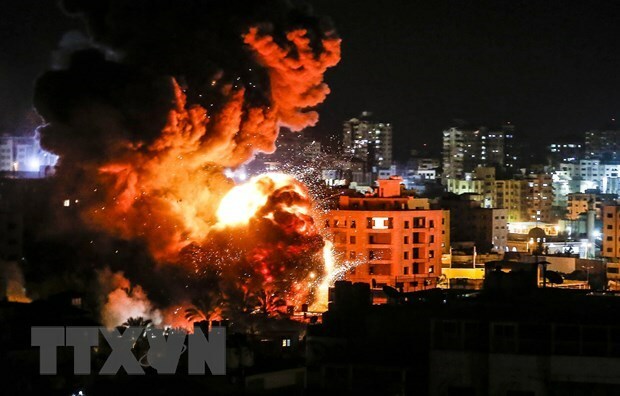 Hundreds of missiles have also been fired from Israeli warplanes and their military assets are amassing at the Gaza border causing fear and panic among innocent Palestinian civilians,” it said. “The current developments in Gaza continue to reflect a situation that is deeply alarming. History has shown that such irresponsible acts have the potential to escalate and endanger innocent lives of defenceless Palestinian civilians,” the statement said. It also added that any further provocation and threats will also hamper efforts for peace, noting that it is imperative that all parties immediately step back and adhere to the ceasefire already declared to avoid exacerbating the situation.